I will say that only a couple weeks ago I took an Idaho black bear with a Proof Research 300 WINMAG with carbon fiber barrel. It was graciously loaned to a charitable foundation for use on disabled veteran hunts. They are good people doing good things and deserve any support that you can give them, and hey, who couldn't use a free barrel...? 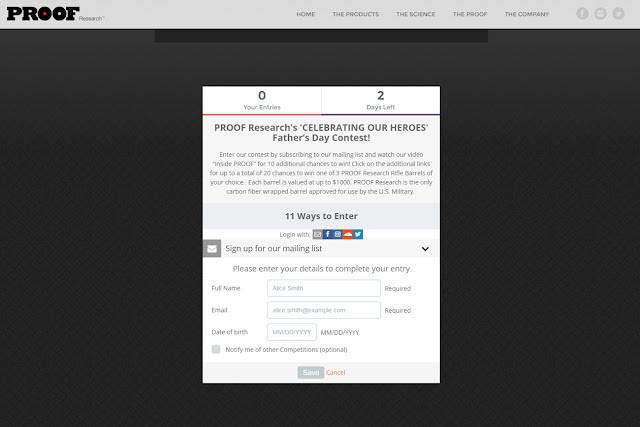 The PROOF Research Father’s Day barrel giveaway will be ending soon. They would like to remind everyone to enter if they haven't already done so. There are plenty of ways to do it, and many opportunities to win. PROOF has been giving away a rifle barrel a week for a while now, each up to $1,000 in value. Enter the PROOF Research “CELEBRATING OUR HEROES” Father’s Day Contest! · Click on the additional links for up to 20 chances to win one of three carbon fiber barrels, any style AR or Bolt, your choice. 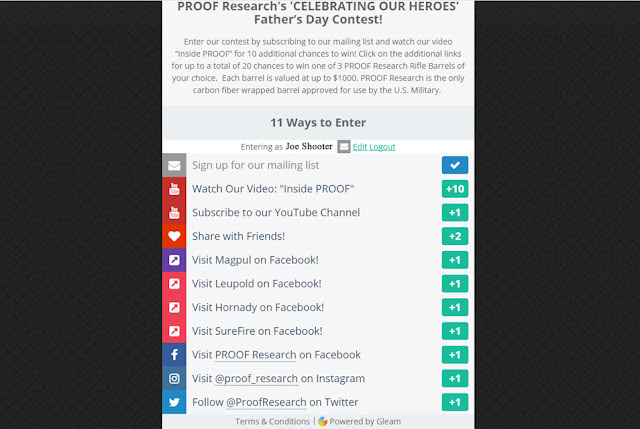 You can enter here: http://proofresearch.com/the-proof/inside-proof/. There are many reasons to use a PROOF Research barrel; dependability, repeatable accuracy and barrel life not least among them. •Extended barrel life. 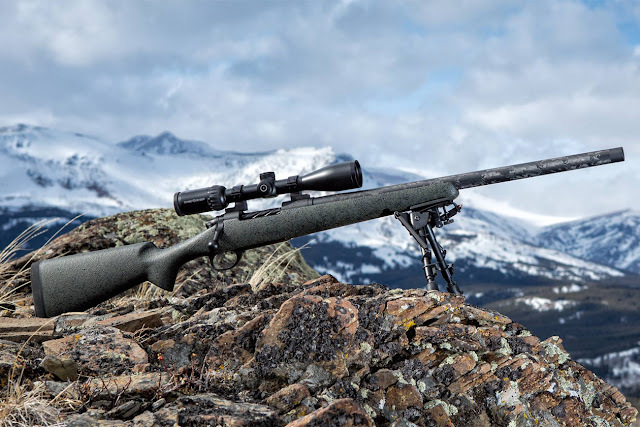 Thanks to the heat dispersion properties of the carbon fiber wrap, PROOF Research carbon fiber barrels last a conservative 25% longer than others. They have many testimonials from customers who tell them they’ve put 15,000 rounds or more through a barrel with no POI (Point of Impact) shift. • Accuracy and dependability. Thanks in no small part to the lapping process perfected by PROOF's Mike Rock and the advanced technology they've developed, PROOF barrels are repeatedly reliable. 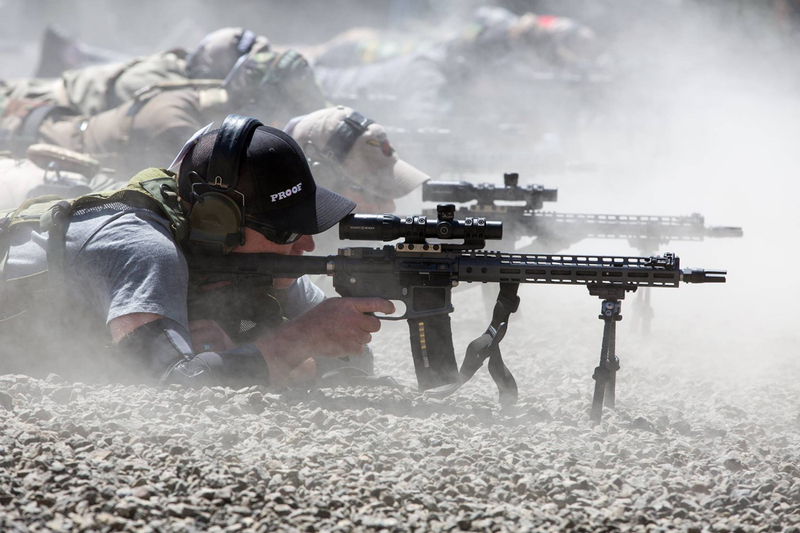 As they say, there is a reason so many of the best competitive rifle shooters in the world use a PROOF Research barrel – and a reason their carbon fiber barrels are the only ones approved by USSOCOM for U.S. SOF personnel.